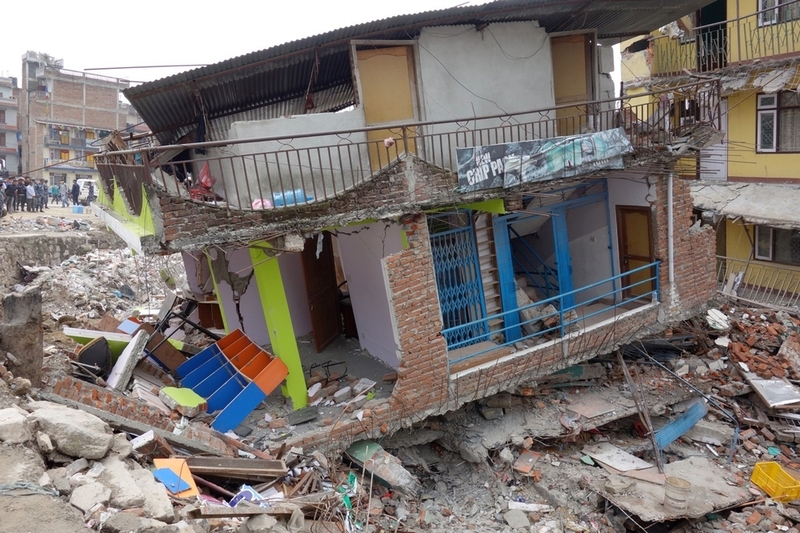 Dr Prince Mathew normally coordinates Médecins Sans Frontières/Doctors Without Borders (MSF) projects in Bihar state in India, but was quickly deployed to Nepal following Saturday’s earthquake. When we finally made it into the airport, it was utter chaos. There were thousands of people trying to leave and hundreds trying to get in to provide relief. At 1am we were able to make it out with the medical supplies we had brought with us. Knowing that it would be extremely difficult to get people and supplies in quickly through Kathmandu airport, four of our teams working in Bihar state in India had set out by road on Sunday morning with medical supplies, along with a truck carrying 1000 shelter kits, 500 hygiene kits and 500 family kits. 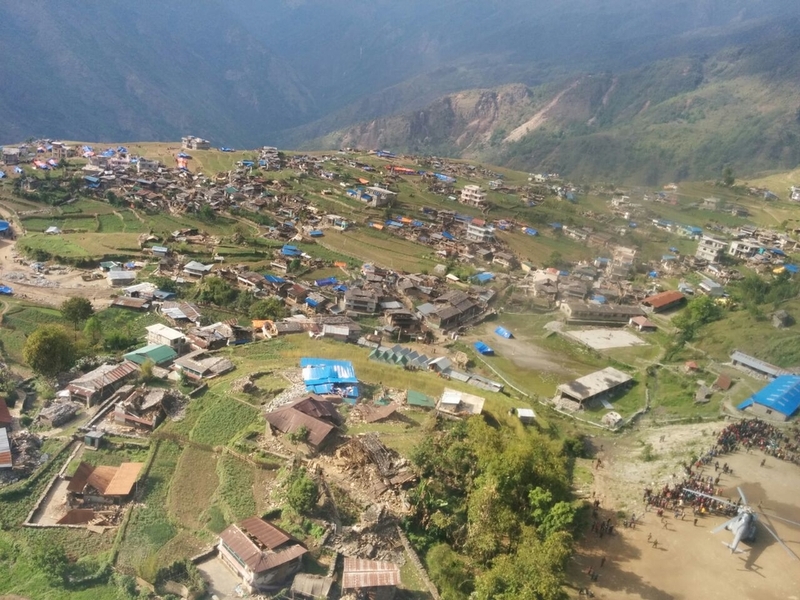 After some delays at the border, on Monday the teams and supplies were able to reach Gorkha, a town 200 kilometres north-west of Kathmandu and close to the epicentre of the earthquake. Aerial assessments showing widespread damage to remote villages. We flew over districts to the east, north and west of Kathmandu and of around 65 villages we could see that at least 45 of them were either partially or completely destroyed. 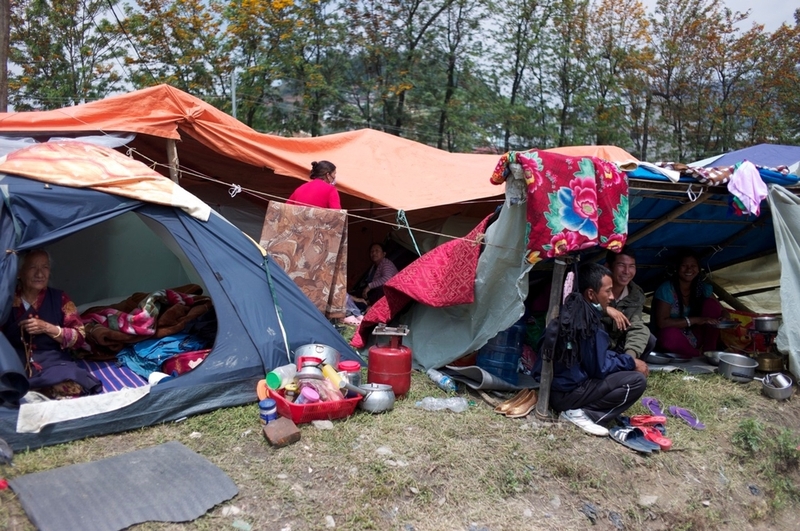 We could see that people were staying in makeshift shelters, so it was clear that there would be a huge need for shelters, hygiene materials and cooking equipment. Kathmandu has been relatively untouched by the earthquake but saw some buildings down. Some places are full of debris and people had to take refuge under shelters. Kathmandu itself has experienced relatively low level destruction, with the vast majority of buildings and houses are still standing. However, many people are sleeping outside in tents and makeshift shelters as they are afraid to be inside due to aftershocks. This is a concern given that the seasonal rains have begun and will only become heavier in the coming days and weeks. We don’t yet have a full overview of the needs in the country because the hardest-hit areas are in the remote mountainous region outside Kathmandu. It’s been difficult to get information and the extent of the damage and loss of lives in these areas is only starting to become clear. 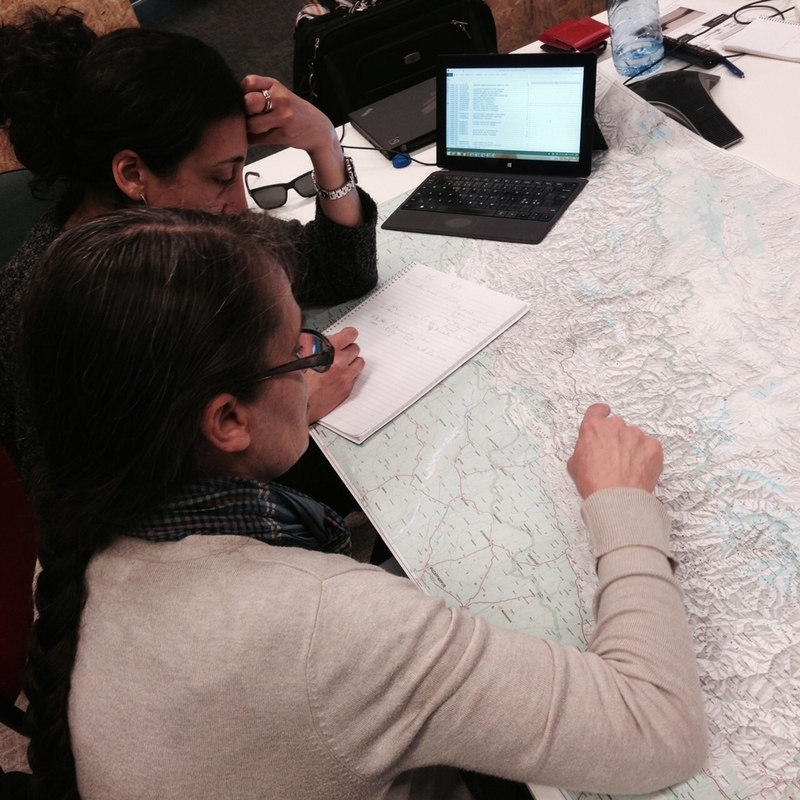 MSF team briefing before leaving To Nepal to assist people affected by the earthquake. The biggest challenge right now is transport. There are many small villages spread out over a large area of very tough terrain. Even before the earthquake, these areas were difficult to access. So now with many roads cut off because of avalanches and the risk of more landslides, the only way to get there is by helicopter. And helicopters are in short supply, especially cargo helicopters able to transport tonnes of relief supplies. In the days since the earthquake there has been a huge influx of aid agencies and government relief teams from around the world. The most important thing now is that the assistance reaches outside Kathmandu to the most affected areas. 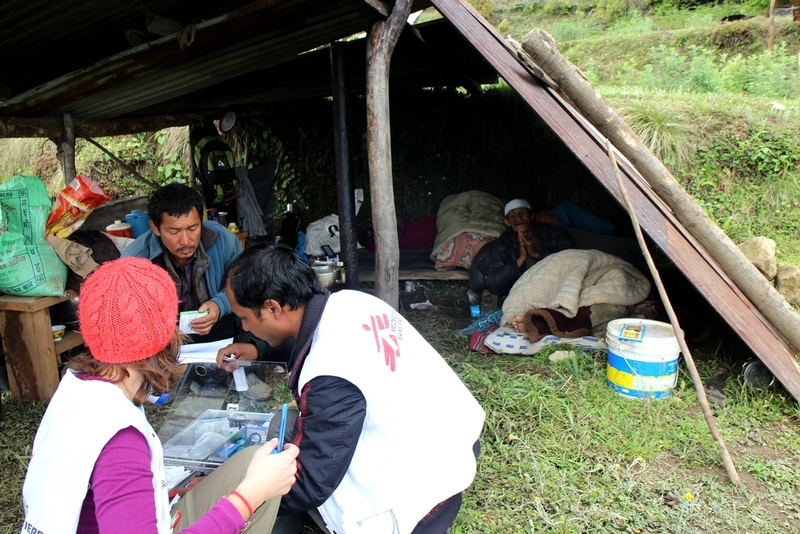 A 3 person MSF team began running mobile clinics by helicopter to remote villages in the mountains to the north of Kathmandu. Many villages have been completely or partially destroyed, and people are living under makeshift shelters. Our teams also plan to distribute tonnes of shelters, hygiene materials and cooking equipment. With the monsoon season approaching, we’re worried that the window of opportunity to reach people in these areas is rapidly closing.